David counsels high-net-worth individuals, family offices and fiduciary companies in the areas of international tax and estate planning. 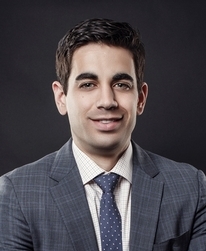 His practice includes structuring foreign investment in U.S. real estate, developing wealth transfer structures for multinational families and assisting clients with voluntary disclosure and other tax regularization proceedings with the Internal Revenue Service. David also advises on pre-immigration and pre-departure tax planning, and counsels clients regarding their tax compliance obligations under the Foreign Account Tax Compliance Act (FATCA) and Common Reporting Standard (CRS).